A perennial pansy? Say it's true! Viola corsica (syn. Viola bertolonii) Corsican Violet is a rarely seen and highly ornamental Violet with copious, quite large, pale purplish to deep lilac flowers with short to medium sized spurs above elongating, slightly prostrate stems and broadly lanceolate leaves. Excellent in any well drained, preferably humus rich soil in a sunny spot. Viola corsica is an unusual species violet not dissimilar to the popular winter pansy, but truly perennial and longer flowering, from spring to autumn. Plants form a low mound of bright deep green purple flushed leaves, bearing a constant succession of deep violet-blue flowers, each bloom with a tiny yellow centre and a white whiskered face. Flowers are produced through the spring and into autumn, even in hot summers. Perfect in the rock garden, front of borders, as ground cover or in pots. Remove faded blooms regularly to encourage more buds to form. These plants will self seed gently around when the site suits it well. 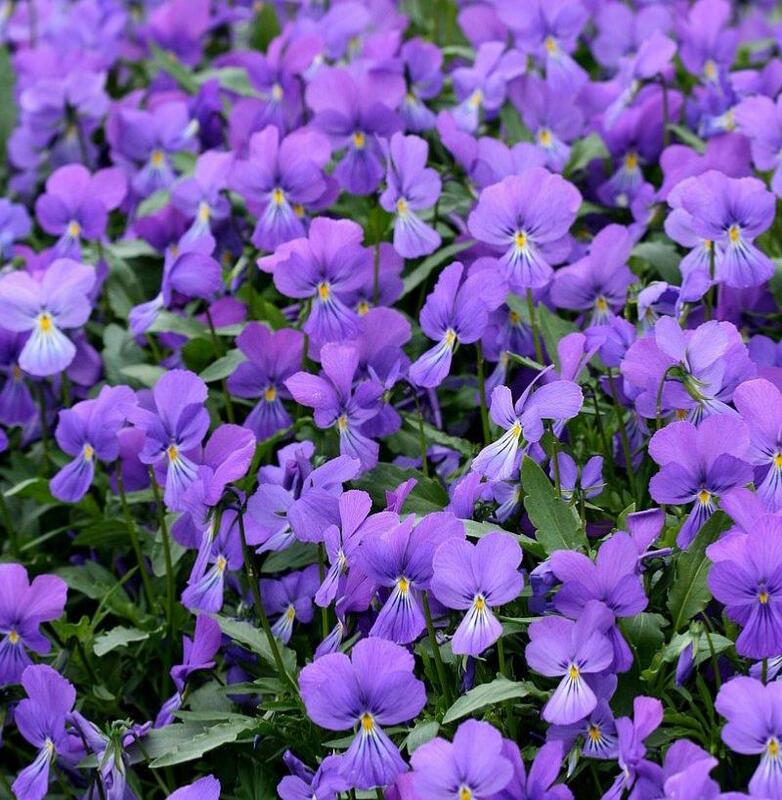 More drought tolerant and more reliably perennial than most other Violas. Native of mountainous regions on the island of Corsica at above some 1200m. 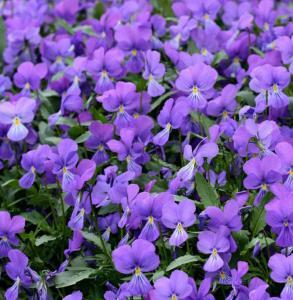 Viola corsica is perfect in the rock garden, front of borders, as ground cover or in pots. Has a very long flowering period. 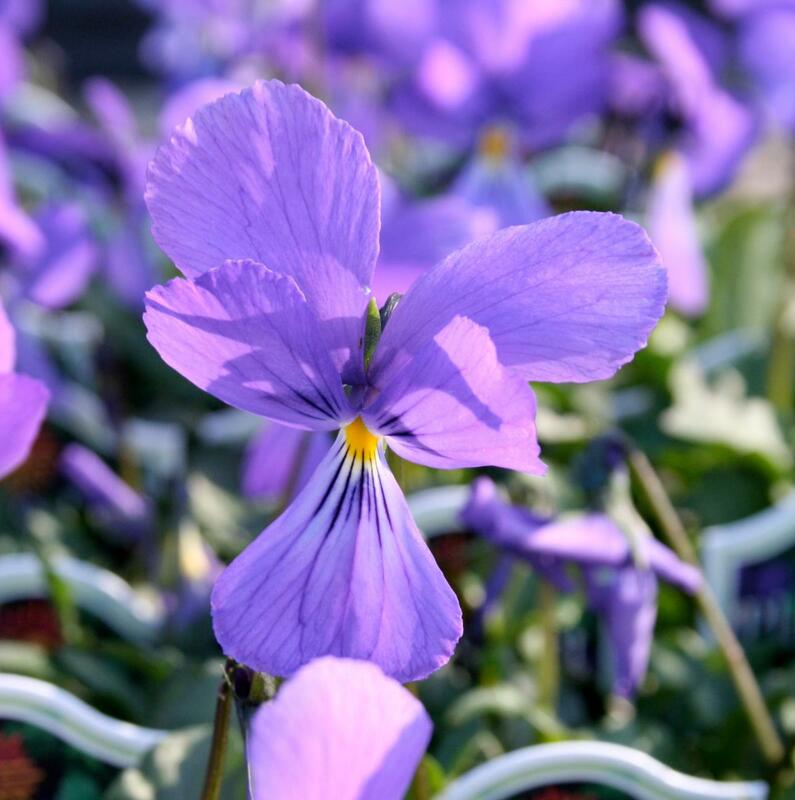 More drought tolerant and more reliably perennial than most other Violas. Excellent in any well drained, preferably humus rich soil in a sunny spot. These plants will self seed gently around when the site suits it well. Though not essential, removing faded blooms regularly will encourage more buds to form.